← Webkinz Pebble Giraffe Unboxing Video! Webkinz British Bulldog Unboxing Video! 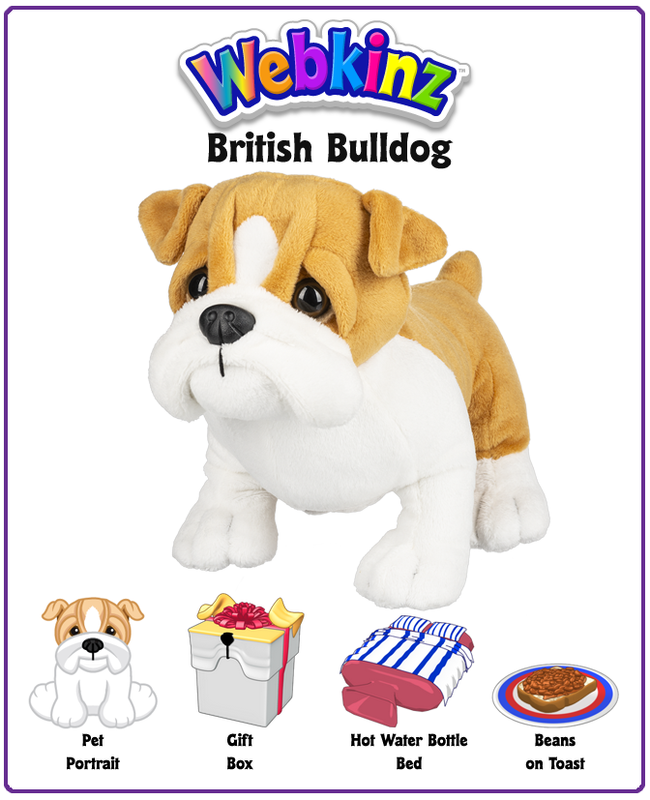 We gave you a sneak peek at this pet in an earlier Webkinz Newz story, and now we’d like to present to you our newest Webkinz plush pet, the British Bulldog! Check out this unboxing video, revealing the British Bulldog in action! If you’re looking for a well-mannered mate to add to your family of Webkinz pets, it would only be polite to mention the brilliant British Bulldog! A pup with an impressive pedigree, this hard-working bulldog will enjoy taking a long nap on their Hot Water Bottle Bed! Once they wake, the one snack they love most is a sumptuous serving of Beans on Toast! Want a plush British Bulldog all your own? This and other Webkinz plush pets are now available for order directly from the Ganz eStore! What would you name this high-class hound? 27 Responses to Webkinz British Bulldog Unboxing Video! Aww they’re adorable I’d love to have one! When are the winners announced? Tomorrow? Maybe they’ll be announced tomorrow? Please post the winners Ganz!!!!!!! What a cutie! I’m going to name mine Willie.